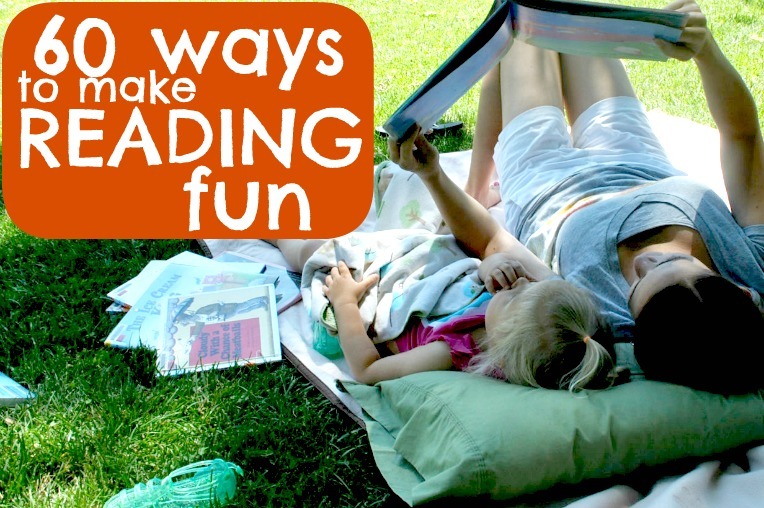 I was inspired to write this list after our library distributed a list of ways to make reading fun during Spring Break. I absolutely, positively love to read, and can only hope I share that passion with my children. While most of these talk about reading with/to your child, these can most certainly be done by a child who can read on their own. Read to, with or alongside your children as often as possible. 1. in the bath tub (empty, of course). Fill it with blankets, pillows and books. 2. outside. In a chair, on a blanket, under a tree, in a tree house, at a park. 3. in a fort. Build a fort with your child and climb inside for a book or two. 4. with a flashlight. Turn off the lights and read to your child by flashlight. 5. in a book nook. Create a special place for reading books with comfy blankets and stuffed toys. 6. at the table. Start each meal with a book or a bible verse. 9. in a laundry basket (if you're small enough to fit!). 13. a book in a different language. 16. a book with chapters. 17. a year book (preferably your mom or dads). 19. labels at the grocery store. 23. a book from the library. 24. a book that plays music. 39. self in the mirror. 53. the place you're going on vacation. 59. act out the words. Since we're talking about reading, I wanted to share some exciting news! We are joining PBS and Memetales for their Summer Readathon 2012! As one of the blogs participating in this project, we'll be sharing a weekly activity that corresponds with one of the Readathon books. Stay tuned for more about the Readathon later this week!